Over the years I had tried different kinds of biryani. Though the preparation style is similar for most biryanis, the kind of spices added for making chicken masala makes a huge difference in the taste of the biryani. 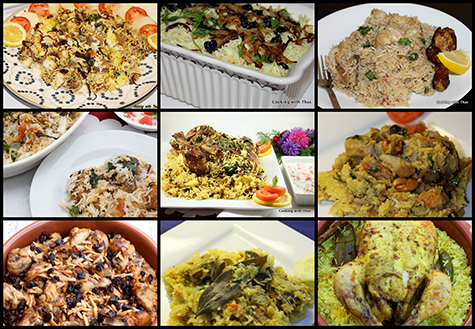 Biryani recipes that I’d tried over the years, for recipes click here. 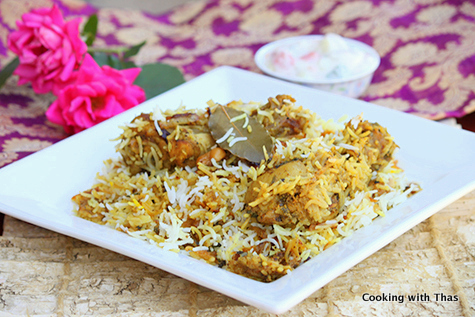 This recipe is an authentic biryani made in Hyderabad. Homemade biryani masala or spice powder is used, aromatic whole spices are roasted to perfection and then ground to fine powder; added to the chicken for marinating along with other ingredients. This spice powder is a winner, made the chicken taste flavorful and imparted a mesmerizing aroma to the biryani . Recipe Courtesy: Cooking with Fem– I’ve tweaked the recipe a bit according to my needs. First, let's roast the whole spices and grind them into a fine powder. 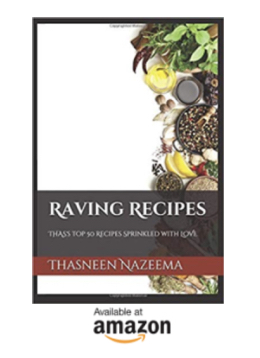 Place a pan over medium heat, add all the whole spices mentioned 'to roast and grind' (if using ground nutmeg and mace, add that after roasting the whole spices, else they will burn) let roast for a few minutes till they turn aromatic. Be careful to not to brown the whole spices. Let cool down for a few minutes, grind to a fine powder. Keep aside. This recipe will yield around 3 to 4 tbsp spice powder- store the remaining spice powder in an air tight container- can be used for making chicken/mutton or beef curries. I highly recommend using homemade fried onion for better taste and flavor. Don't skip adding fried onions. Fry 5 onions sliced thin in oil. Use 2 of the fried onion for marinating the chicken. Remaining 3 fried onions while layering. Save the oil used for frying onions. Soak basmati rice in water for 30 minutes. Into a large bowl, add all the ingredients mentioned 'for marinating chicken'. Combine well and marinate for 2 hours. Place a large non-stick pan over medium heat, add 5 tbsp of oil used for frying onions- this oil has a lot of flavor. Add the marinated chicken mix, combine well and cook for a few minutes. After that, close the pan with its lid and cook covered till chicken has almost done- about 90% cooked. Do not over cook the chicken. Drain the soaked basmati rice taken in a sieve and rinse under running water. Add the soaked rice to a large saucepan. Add all the above mentioned spices for cooking rice along with 6 cups water. Cook for 15 minutes till the rice has cooked 90%, do not over cook the rice. Drain the water and keep the cooked rice aside. I used the same wide pan used for cooking the chicken- transfer the cooked chicken masala to a large bowl and clean the pan well. Spread 1 tbsp of melted ghee on the pan. Layer the cooked rice as the first layer. Third layer: spread fried onions, cashew nuts, cilantro, mint and drizzle some saffron milk. Spread ¼ tsp spice powder over the rice. Drizzle ½ tbsp melted ghee. Again layer with rice, chicken masala and toppings. Repeat this one more time. There will be 3 layers each for rice, chicken masala and toppings. Cover the pan with an aluminum foil and then close with its lid. Place the pan over low heat and cook or keep in dum for 20 minutes. After 20 minutes, remove the pan from the heat, and let rest covered for another 15 to 20 minutes. Open the lid and aluminum foil. 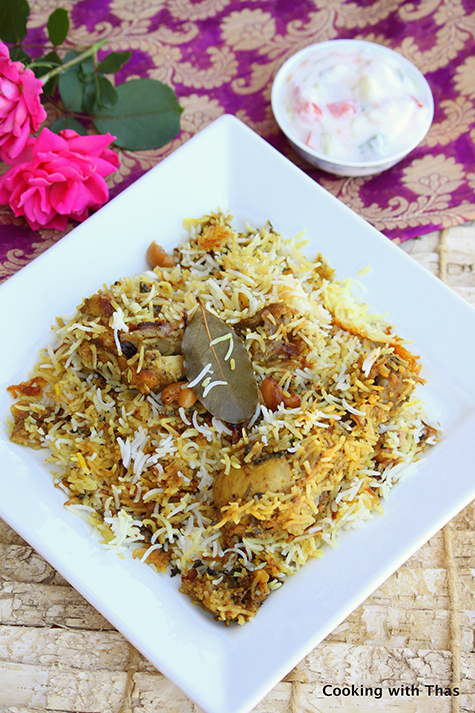 You will be seen inhaling the amazing aroma that's spreading from this biryani. While serving, combine the rice and chicken masala and serve on plates. This biryani can be served with raita, pappad, pickle etc. Store the spice powder in an air tight container, makes about 4 tbsp- this can be added while making chicken/mutton or beef curries. Tastes delicious.